As the sun is getting lower and lower in the sky, it's getting darker and darker and winter is coming. 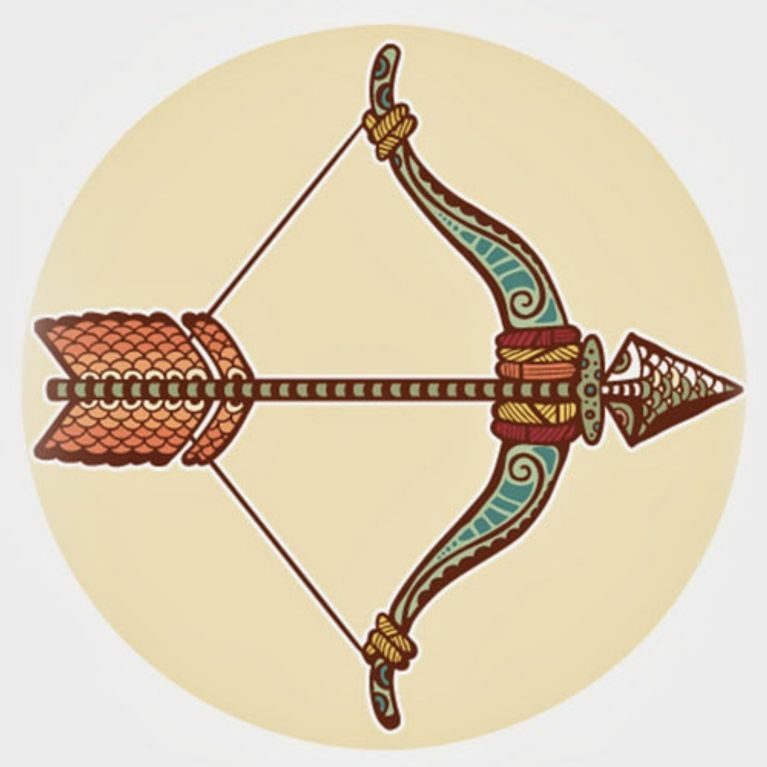 Sagittarius is a symbol of movement, with nomadic instincts, independence, alert reflexes; a changeable sign, between the end of autumn and the beginning of winter. The fire of Sagittarius is enthusiastic, generous and confident: it’s the ember that glows red in the ashes and doesn’t die! Here's our in-depth guide to the Sagittarius star sign (23 November - 21 December). If cardinal fire is symbolised by fiery Aries, fixed fire is willing and magnificent Leo, the changeable fire that marks out Sagittarius is a centaur, a half-horse, half-man figure of exaltation with its hooves planted firmly on the ground, looking towards the sky with bow in hand, aiming his arrow in the direction of the stars. Those born under this sign are instinctive, aware, independent, ambitious and adventurous. Sagittarius is in analogy with Jupiter/Zeus, King of Olymplia, god of the sky and of lightning. A sporty type, tall, well-built and muscular. He oscillates between the horse and the archer. The horse is squarer, while the archer is taller and thinner. He’s an adventurer in the truest sense of the word, who counts on luck as much as on his ability. He’s suited to all professions that put him in contact with others. You might find him in business but he will also make an excellent journalist, writing about foreign affairs or the economy. He could also be an interpreter, work in a travel agency or entertain at holiday clubs. He's an intelligent, brilliant man and could receive accolades, praise and awards for his work. When he’s in love, he thinks only about his chosen one, answering her every wish and satisfying all her whims...and then he stops loving her just as suddenly as he started. There's nothing you can do: if his mind is elsewhere he'll only see it as a duty. But if she's the one, one day he’ll turn into an exemplary dad, taking care of his kids' upbringing, and putting his excellent advice and opinions to everyone's benefit! She’s bubbly, travels a lot and uses nothing but her cheek to attract the gaze of men. Miss Sagittarius may have beautiful eyes and a smiley face, but she can go from laughter to tears and from joy to sadness very quickly. She’s too affected by her emotions. She's curious, and interested in serious topics like history, philosophy and religion. She has the same aptitudes as Mr Sagittarius and she'll often choose her career over her private life. She’s an enthusiastic lady who knows how to lead and convince others. In her youth she’s very idealistic, whole, strong in her convictions and she'll give her first love everything...and come out of it very disillusioned! As a result, she'll choose a more conformist existence from then on, but she could have an adventurous love life and hop from one lover to the next. The problem with these women is that they scare men off!